ConcurGov supports CONUS, OCONUS, TDY travel, local travel, long-term TDY travel, group travel, invitational travel, non-emergency after-hours travel, and non-federally sponsored travel. Get simultaneous fund certification and audit reporting on travel authorizations at every stage of the funds management process. 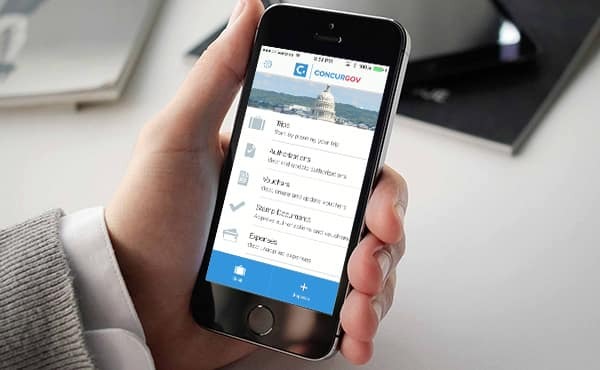 Electronic receipts from airlines, hotels, car rental companies, and taxis integrate directly with ConcurGov, pre-populating itemized charges into the voucher. Integrate all expenses such as direct bill fees, centrally billed accounts, IBA, and SmartPay solutions directly to vouchers. Gain greater insight into travel spending, track performance indicators (KPIs), and monitor trends for audit and transparency reporting.